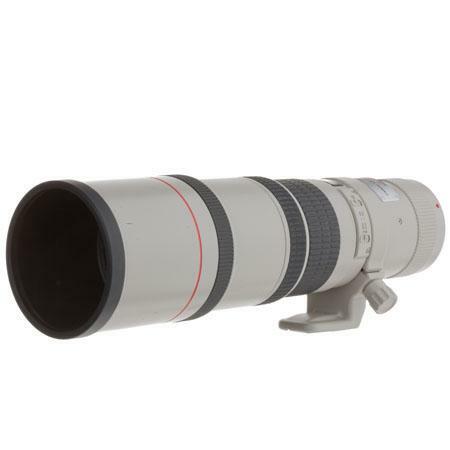 Retailing at $1400 the EF 400mm f/5.6 L USM is the cheapest super telephoto lens currently offered by Canon. other two are EF 400mm f/4.0 DO IS USM & EF 400mm f/2.8 L IS II USM. If you’re looking to get started on your love for wild life photography this is the lens that you should look at. 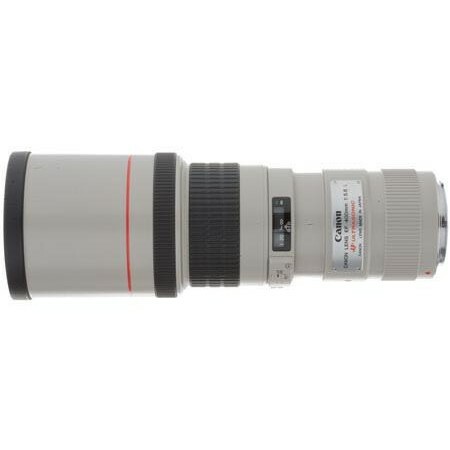 The lens is compatible with both the 1.4x and the 2x teleconverters that Canon sells. However with APS-C models don’t expect AF capabilities. AF is available only with the Canon 1DX and that too only with the 1.4x and only with the center AF point. The lens construction includes 7 elements including a UD (Ultra-Low dispersion) glass element and a Super-UD element arranged in 6 groups. This ensures that the lens is less affected by the problems of chromatic aberration. However the absence of IS makes those who prefer to hand hold a little displeased. 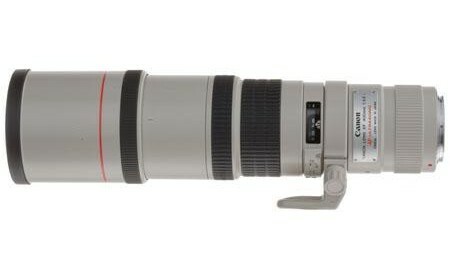 Canon has yet to launch a version of this lens that comes with IS but thanks to the detachable tripod mount there should not be a problem when used in real life situations; after all a lens of this mass would rarely be used hand-held. Canon has also provided USM (Ultra-Sonic Motor) technology in the lens which makes it very quiet when focusing. The diaphragm of the lens is built with 8 rounded blades. The over all construction quality of this lens is good as apart from the rubberized focusing ring all the exterior is metal. The external dimensions of the lens are 3.5″ x 10.1″ and it weighs a reasonable 1250 grams. The lens ships with a built-in hood. The filter size specification of the lens is 77mm.